Our team has been working hard to start 2018 with a bang! We’ve just rolled out 3 new features, which all come included with the Ecommerce plans. From time to time, a potential customer will place items in their cart and leave before completing the purchase. 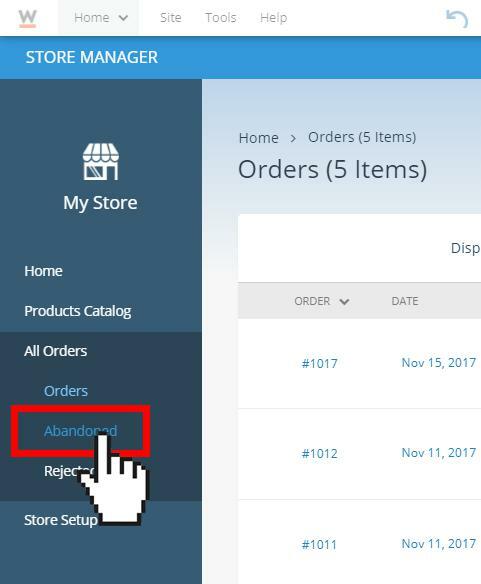 The new Abandoned Cart feature keeps track of these customers, giving you the opportunity to entice serious shoppers back to your store and complete their shopping experience. 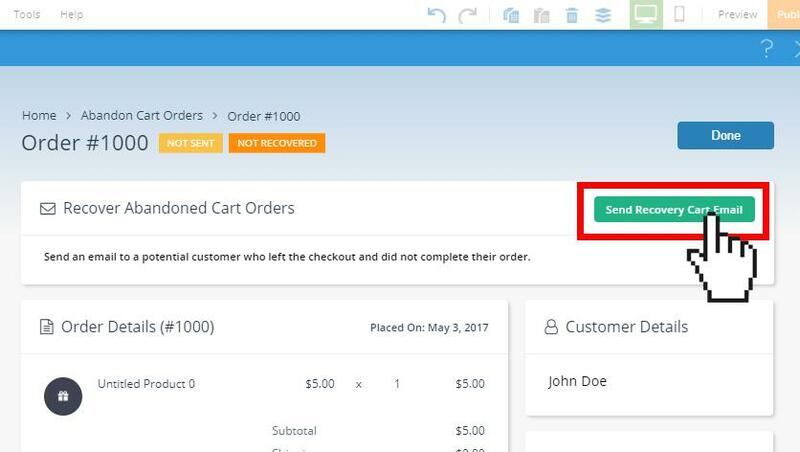 You can now send a recovery email to potential clients with abandoned cart orders. Simply view your abandoned orders, and choose to send a recovery email to potential customers. The email includes a reminder of the items in their cart, as well as an option to return to your store checkout. 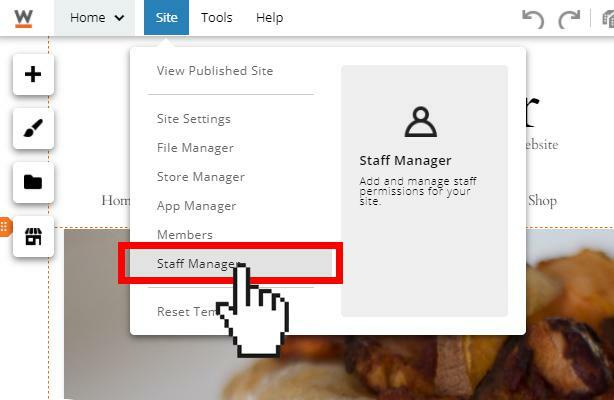 We’ve introduced a new feature to allow you to add staff members to your website or store! Ecommerce plans allow you to add 10 staff accounts, and Business plans allow you to add 3 staff accounts. Staff can help you manage certain aspects of your website, such as contact forms, files, or even your website design and settings. 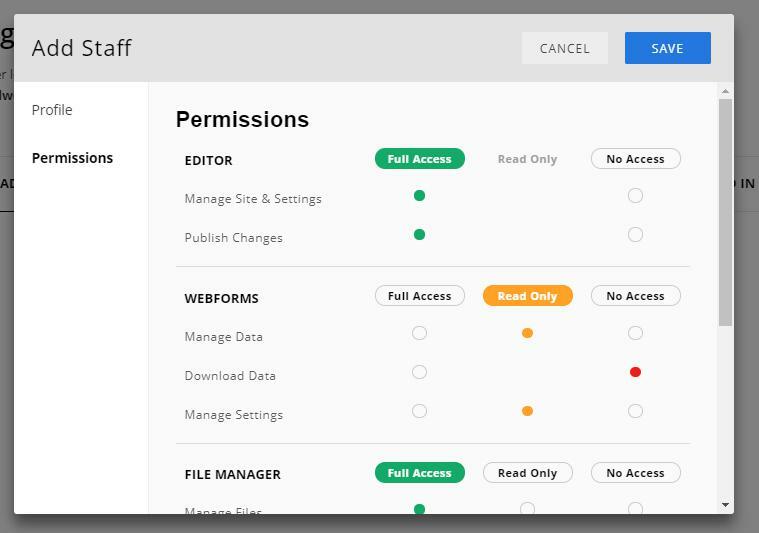 Just add staff members, assign login information, and choose the levels of management access to grant to each staff member. Sometimes, it’s easier to get a little help from the team.